This series of vacuum cleaners is the right compromise between size, price and performance. Electrical control box integrated as standard, star fi lter Ø 560 with big fi ltering surface of 3.4 m², possibility of installing the whole range of optional RGS, are just some of the advantages of these vacuum cleaners. 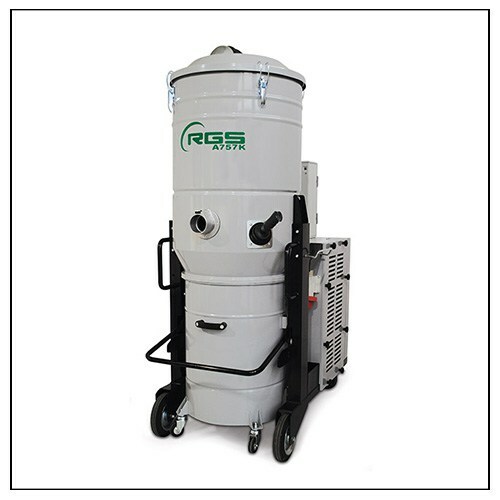 Available with multi-tension three-phase motor with 4kw and 5.5kw of power and equipped with removable container with 100 lt of capacity.